I worked on noise vibration harshness for 380. I know that car inside out and still have my s1 vrx that I grabbed on my way out. Body and paint is a bit rough from my wife driving it to her northern suburbs job and it copping car park dings from being such a wide car. But it has sat in the shed for the last 5 years waiting for my son to learn how to drive. I know others might not see it as a car of interest but I haven't found anyone (other than people who have a clear and illogical bias against mitsis) that haven't enjoyed driving them. They eat miles on interstate drives unlike any other car in its class. I have absolutely no need for one, but I really want a new Suzuki Jimny. The reviews for this new model have been really positive. 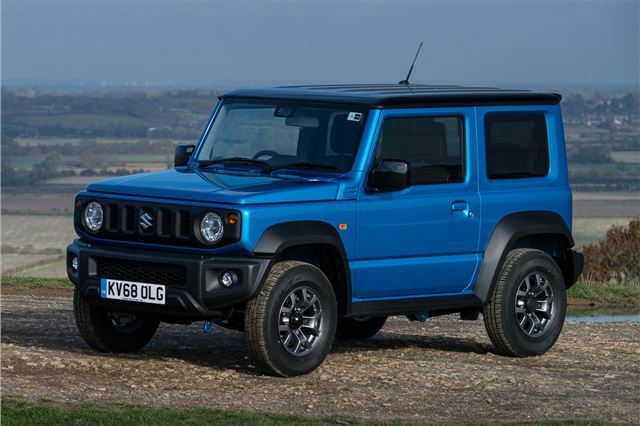 Suzuki Jimny 2019 handed three-star ANCAP safety rating. In this day and age, surely that’s unacceptable. The rating system was changed. Three stars now is not the same as three stars before. Fabulous little thing. Live axles front and rear, insanely good approach , departure and ramp over angles. The only thing you loose to the big boys are ultimate clearance clearance and wading depth that 95% of people never get close to exceeding. No good for big Safaris, petrol is not great to transport, hot exhaust ,small tank and limited carrying capacity. For smaller trips, long weekends away, sand work, small tracks just brilliant. Little Suzzies have been driving past bogged heavy weights in the sand for decades. Spot on for fishermen and the daily runabout on the farm and in the bush. Might be a fair old waiting list, they can’t build them quick enough to meet just the Japanese demand. These will hold their value big time. Funky, fun, cool. Looks like someone has taken excellent care of that old girl. Sorry to hear of the death of the last one, the value insurers put on cars today makes any vehicle with a couple of years under the tyres liable to being written off without a very big a shunt.